Printing The bags can be plain, or printed with the customized designs and logos according to your requirement. 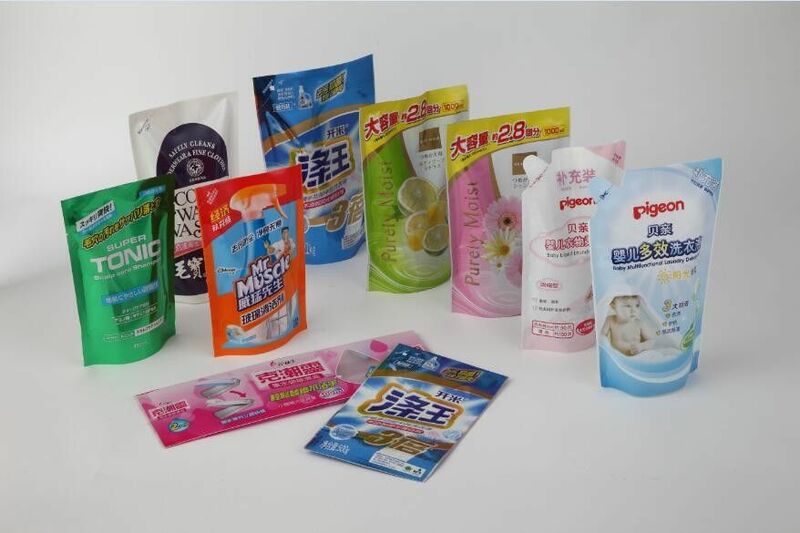 Feature 1.The laminated pouch has features of delicate printing,high obstruction of gas,light,water,vapor,etc. 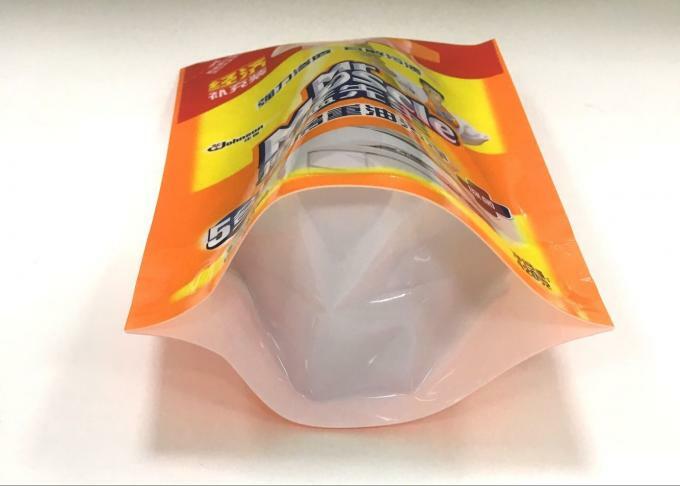 2.The stand-up pouches can be used as refillable and replaceable packaging for many different household products. 3.Ink is between the laminated lays,so the material is safer. 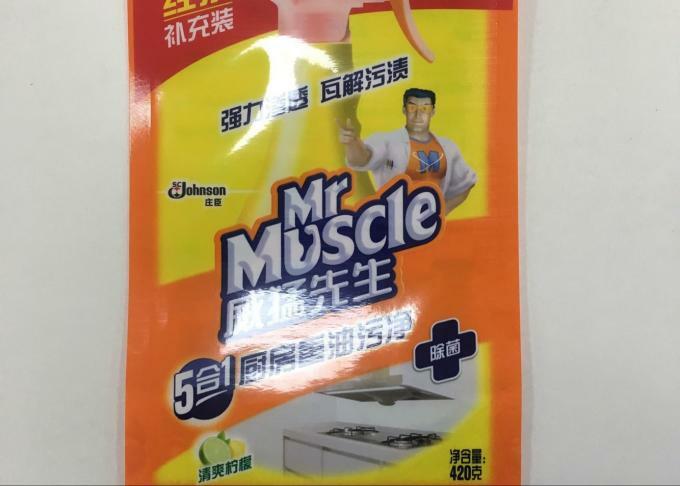 Different daily chemical pouches: kitchen cleaner,laundry detergent,etc. Started to move to SYJS plant in Jun 2015, and start production in the early of 2016. 40% capactity is increased. And production environment is well controlled each workshop. A new start here and welcome new partners visit us. Our R&D is focus on cost saving and become a new trend leader in the market. Now not only toothpaste tube can be made but also cosmetic tube can be made. Various printing can be used to various requirement. 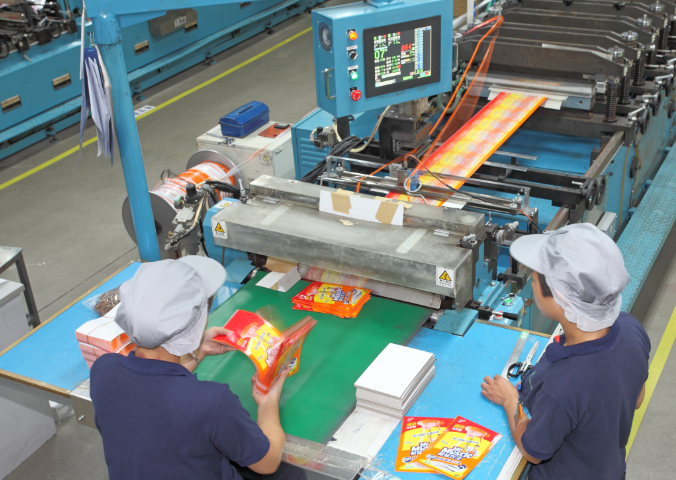 Became a trend leader in packaging industry.